Social media has always proven to be one of the best way to promote your blog, website or business. When it comes to social networking there are only two names on everyone's mind, Facebook and Twitter. There are So many Social networking sites available on Internet, But Facebook and Twitter is on top of that list. In this post we will talk about twitter. 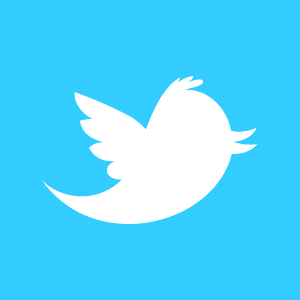 Twitter is one of the most popular social networking site on the Internet. Today almost every Blogger or Business person has a twitter account, But a twitter account without followers seems dead and unpopular. These Killer Tips will help you Increase the number of followers on Twitter. Keep tweeting on regular basis, Nobody want's to follow a dead, unactive profile. Tweet daily, It can be anything like your daily tasks, your visits, what are you watching on TV or what song are you listening...Anything. So stay active and this will help you get followers. Just like promoting a blog, Twitter account should also be promoted on other social networks. If you use facebook, then ask your Facebook friends to follow you on twitter or ask your blog visitors to follow you. Promotion works like charm. If you want people to follow you, then you'll too have to follow them so that they can follow you back. Most people follow back. Search people or companies related to you and follow them. Search people who you think will be interested in your category, follow them. If someone you follow has tweeted a really informative tweet and you think that your followers will love it then retweet. retweet is something like a reply and helps build good relations with followers. Don't just tweet crap, Tweet informative things, which will help others. Tweet value so that people take interest in reading your tweets. Tweeting useful tweets will also help you get retweets and more the retweets, more followers you'll get. People love photos, Interesting photos will help you get more attention. So use Twitpic to tweet photos once in while. Make sure that you complete your profile, Avoid using fake names or information. Let people know you. The more people know you the more likely they'll follow. Add a photo of yourself or your business logo, provide a brief description which clearly describes you. A Best way to promote twitter is by putting your twitter link in your email signature. This way every email sent by you will contain your twitter link and Interested people will follow. This is one of the best trick to promote almost anything, It can be your blog, social links etc. So If you'll follow these tips, You'll sure be able to increase the number of followers. Hope this article helped you. Please Take a few seconds to share it or just leave a comment below.